An internationally recognized writer, curator, and lecturer, Roth has organized numerous groundbreaking exhibitions, and has published books, articles, essays, and conversations with artists that bring visibility and give voice to artists underrepresented in their profession. Among Roth’s awards and honors are the Women’s Caucus for Art’s Mid-career Art History Award (1989) and the Lifetime Achievement Award (1997); an honorary PhD from the San Francisco Art Institute (1994); and the Frank Jewett Mather, Jr. Critic’s Award (lifetime achievement), College Arts Association (2000), and an Annual Recognition Award by the Committee on Women in the Arts of the College Art Association (2006). Roth received her PhD from the University of California, Berkeley in 1974. From her early writings on Marcel Duchamp, the subject of her PhD dissertation, to her numerous publications on performance and feminist art and multiculturalism, Roth has urged the discipline of art history to expand and reconfigure the scope of its vision. 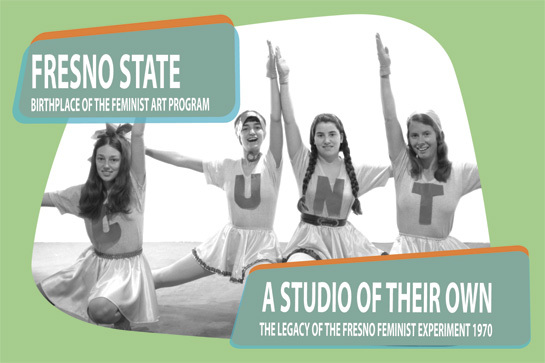 Since the 1970s, Roth has worked in feminist art history and criticism, and since the 1980s, she has also worked cross-culturally with groups and conferences including the “Art of a Distinct Majority” symposia at the San Francisco Art Institute and the Asian American Women Artists Association. Roth edited and contributed to The Amazing Decade: Women and Performance Art in America1970-1980 (1983), Connecting Conversations: Interviews with 28 Bay Area Artists (1988), We Flew Over the Bridge: The Memoirs of Faith Ringgold (1995), and Rachel Rosenthal (1997). An anthology of her writing, Difference/Indifference: Musings on Postmodernism, Marcel Duchamp, and John Cage, with commentaries by Jonathan D. Katz, was published in 1998. In recent years, Roth has continued to broaden her intellectual reach to encompass travel, memory, language, and artists' responses to war and its aftermath. Currently, she is working on three series of texts. The first, “Traveling Companions/Fractured Worlds,” addresses individual artists and historians, and Roth’s travels in Europe and Southeast Asia. The second, “The Library of Maps,” published in various journals, is about a fictional library and its inhabitants, set in various spaces and times. The third revolves around the life and times of Rachel Marker, a fictional Czech Jew. In 2002-03, Roth began to work in theater, and has written five plays, as well as being involved in their directing and staging: “The Library of Maps: An Opera in Many Parts,” with composer and performer Pauline Oliveros (Oakland, CA and Troy, NY); “From Vietnam to Hollywood,” with Dinh Q Le (San Francisco); and Dancing/Dreaming: Izanami and Amaterasu” and “Amaterasu, The Blind Woman and Hiroshima” with dancer Mary Sano (San Francisco, Tokyo, Kyoto). Readings of Roth’s plays, “Rachel Marker, Franz Kafka and Alice Sommer,” and “Through the Eyes of Rachel Marker” were staged this year in Hawaii and Berkeley, respectively.